George Young, M.D., has extensive experience in the diagnosis and treatment of urological diseases and conditions, with an office conveniently located in New York City. 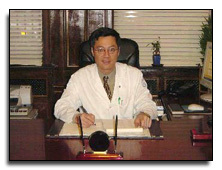 He combines clinical services and expertise with state-of-the-art therapies. George Young, M.D., specializes in BPH, bladder cancer, incontinence, prostate cancer, urinary tract infections, varicocele and also diagnoses and treats general urological disorders. It is our dedication in this office to give our very best in providing excellent medical services to all who need urological care. We would also like to educate everyone, with or without urological problems, by providing information available through this website. Education is a powerful tool in medicine, particularly in the area of disease prevention. The field of urology is no exception. Having sufficient knowledge of certain disorders, such as benign prostatic hypertrophy, urinary incontinence, vaginal wall prolapse, and prostatic cancer, to name a few, can be of great importance. 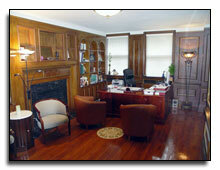 Use these pages to learn more about our practice, Dr. Young, our services, and urology. We hope you find these pages helpful and informative when making health care decisions. George P.H. Young, M.D., F.A.C.S., P.C.